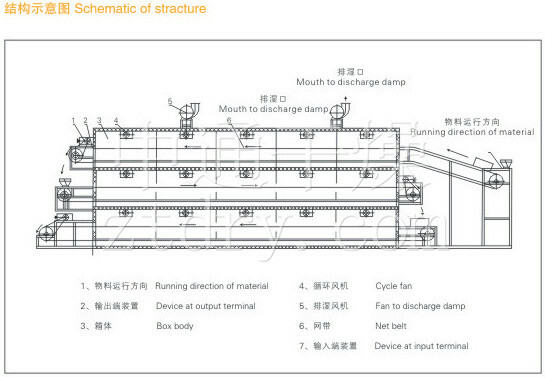 DW Multi-layer Mesh Belt Conveyor Dryer - Changzhou Fushite drying Engineering Co., Ltd.
DW series multi-layer mesh-belt conveyor dryer is suitable for large-scale production of difficult-to-dry materials with low production rate. It has compact structure, small floor space, simple operation, convenient maintenance and stable operation. It can be designed into different hot air circulation drying forms according to the drying characteristics of the materials. It is an extension and improvement of the hot air circulation oven, and is widely used in metallurgical additives, chemicals, food, packaging and other fields. With the advancement of technology and the improvement of product technology content, multi-layer mesh-belt dryers have the ability to meet large-scale production, diversification, centralized control and continuous production. 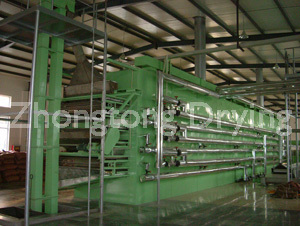 It has the advantages of high efficiency, energy saving and easy management.